Recently, I had the opportunity for an audience with our beloved Imam, Hazrat Amirul Momineenaa. Something happened in the mulaqat that I deem to be a trust to the Jamaat. This is why I was motivated to write this piece. During the mulaqat, I did not seem to pick a link between the two as both had been mentioned in independent contexts. However, upon returning from the mulaqat, when one reverts from a trance-like state, has mustered up thoughts and notes, and acts upon the instructions issued, each and every moment of the mulaqat starts to replay in one’s mind. At times, this occurs sequentially and on others, at random. Later on, when these thoughts pass through the mind in their actual sequence, faith strengthens upon the realisation that no word of the Khalifa of the time is without purpose or just “by the way”. Every word is impregnated with wisdom. Thus, although Huzooraa related these two accounts separately and in independent contexts, but as the circumstances of the mulaqat in my mind replayed, I felt that both the accounts were inextricably linked. I recall that when the series of sermons paying homage to the Companionsra that fought in the Battle of Badr began, it initially appeared to me that since the Companionsra of the Holy Prophetsa were living manifestations of the great revolution, the underlying purpose of paying them homage would be to remind us of that revolution. This would be so that we, who affiliate ourselves with the Messiahas of the age, bear these Companionsra in mind and create in ourselves a similar, pure change. Then, as the sermons continued, we began to gain a wealth of knowledge at each occasion. 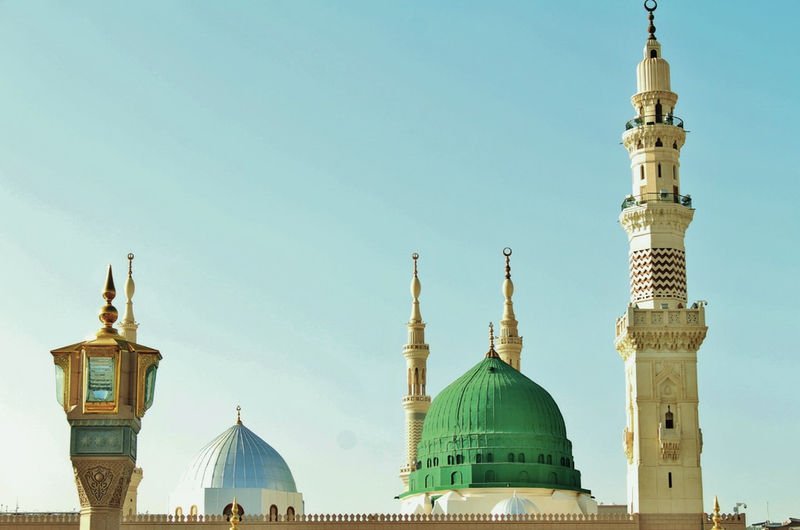 Through these sermons, we began to acquire knowledge of the patronymic and matronymic names of the Companionsra, their narrations, the circumstances of their acceptance into the fold of Islam, their sacrifices and much, much more. However, during this mulaqat, such an aspect pertaining to this series of sermons came to light that struck fear in my heart. I write these lines to share with the readers the fear and the mixed emotions that I experienced. I do not dare to interpret any revelation. However, my love gives me the courage to reflect upon and attempt to comprehend these revelations. Hence, I submit a few words. “Do not forget the event of Badr.” What is so special about this battle that it should not be forgotten? Perhaps, it may be in the number; a handful of people clash with a large multitude of enemies and return victorious. Or perhaps, it is the miraculous storm from a handful of pebbles, by which the enemy was defeated. Or maybe, it was of the Holy Prophetsa entering his tent and supplicating in agony for the safety of a small band of believers, despite receiving glad divine tidings of victory beforehand. It perhaps may be the destitute state of the community of believers, in which they had to encounter battle. It is probable that it may be some or all of these aspects, and perhaps, it could be none of these at all; none because it could be so that it refers to something completely different, which could be a matter between God and the recipient of the revelation. Allah knows best. For now, let us talk about the probable apparent aspects, and place it side by side with the second revelation, i.e. What a degree of resemblance there is between Badr and the circumstances faced by Hazrat Amirul Momineenaa today! Numerous sermons, speeches and instructions come to mind, and many words of Huzooraa echo. During the Lajna and Khuddam Ijtemas, Huzooraa has drawn our attention to the rapid rise of Westernism and its impact. We have the Western world where prevails a storm of irreligiousness and atheism, the rise of which simply refuses to yield. People are generally losing faith in religion, let alone turning away from Islam and are increasingly becoming areligious. 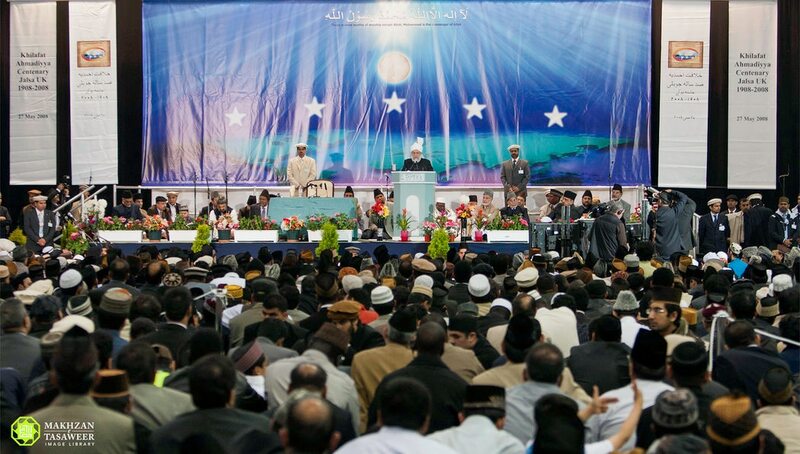 Hazrat Amirul Momineenaa is the sole individual who confronts the millions of people that have turned away from religion; he not only stands with complete steadfastness but is engaged in practical endeavours to rescue the world from this poison. Proportionally speaking, the forces of atheism are thousands of times greater in number than of the Quraish of Mecca, and the Jamaat of Hazrat Khalifatul Masihaa is thousands of times smaller. In such a state of affairs, imagine the state of our Imam’s heart? If the Holy Prophetsa went to supplicate in his tent before his Lord in pain and anguish for the safety of his community, in spite of receiving glad tidings of victory, how must our Imam feel in the wake of this toxic surge of faithlessness? The Promised Messiahas too was given glad tidings of success. On the occasion of the Khilafat centenary, Huzooraa mentioned that Allah the Almighty had bestowed similar glad tidings upon him a long while ago as well. Yet, where he had been entrusted to succeed the Holy Prophetsa in every matter, the agony and anguish of people, too, has constituted part of this sacred inheritance. The following matter is very personal so it does not behove me to mention the name. However, a dear one informed me that if anyone was to hear Huzoor’saa cries in his supplications at night, they would not be able to bear it even just passing by from outside his room. The echo of the anguished and agonising supplications in a tent at the field of Badr is today reverberating from the “tent” of Khalifatul Masih. Then, there is also a similar lack of resources. In fact, when we look at the matter in terms of proportion here as well, it will become apparent that the proponents of atheism are equipped with the latest arsenal of battle and are in far greater number. Talking of weaponry in battle, it should be borne in mind that this instance refers to every kind of battle; be it one fought on the field or one fought with knowledge, wisdom, propagation, words and speech. Technology too happens to be subservient to these very forces. Social media is also a part of their arsenal. In what we know today as entertainment, the forces of irreligiousness are instilling their notions into the minds of the youth. The question of how to pass time was once a prominent issue, when in the present day, to find a pass-time is not difficult in any sense at all as you can always be connected with anyone; literally anyone, as you can connect with someone known or unknown, acquaintance or stranger, and time just flies, turning dawn into dusk, dusk to night, and then night reverts to morning; time flies past unfelt. Against this multitude of opposition, the small Jamaat of Hazrat Amirul Momineenaa is, under his leadership, fighting back. They are occupied in protecting others from the detrimental effects of technology, albeit through the very same means. However, modern means of communication – or social media as we like to call it – is like a coin which always has two sides. Thus, this Community too is utilising all the given resources – or apps as we know them – but all our efforts are limited to usage. The control of these media resources remain in the hands of irreligious and atheistic forces. Employing these resources, they are leading the world towards the ideology of their choice. So just as the Holy Prophetsa prayed for his small band of companions, saying, “These are a few who are heading to fight a large host. O Allah! Do not let them be destroyed.” Similarly, this would be the very same supplication which Hazrat Amirul Momineenaa makes before his God. The Companionsra of Badr, as we have learnt from Huzoor’s sermons, would bring food, water and any other requirements from home as they made their way to the battlefield. 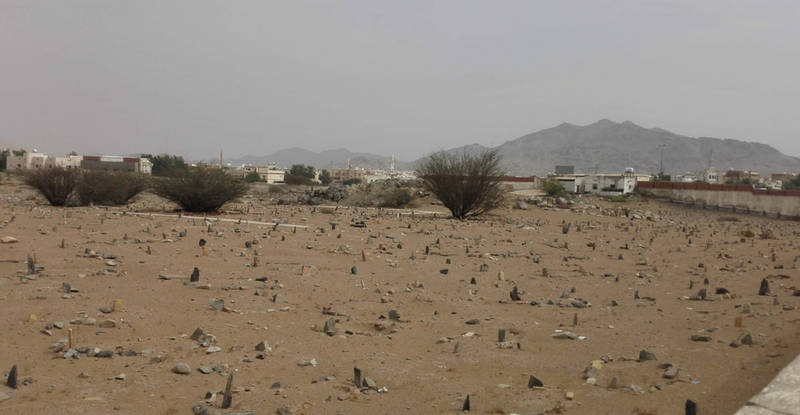 Such was the lack of resources at the Battle of Badr. Today, the men, women and youth who offer financial sacrifices are utterly insignificant in the sight of the world, but Allah the Almighty greatly values these sacrifices and blesses them manifold. These accumulated wealth and resources are spent in religious pursuits. Would the love that had surged in the heart of the Holy Prophetsa for his Companionsra not gush forth in the heart of Hazrat Amirul Momineenaa (his successor) for his followers who partake in financial sacrifices for religious pursuits? Another aspect of our lack of resources is that the anti-Islam forces and those of atheism commonly use every means to estrange people from religion, particularly from Islam. Everything is within their domain – from television talk shows to documentaries, from comedies to adverts. They utilise every means to attain their objectives. However, we are fortunate to be witnesses of the miracle of a handful of pebbles at Badr. When Hazrat Khalifatul Masihaa honours a country with his presence, his interviews, introduction and press conferences are broadcast by national and international media outlets. In this manner, our message reaches millions of people living across the world. Hazrat Khalifatul Masihaa once said that it was beyond our capacity to publicise the message of the Ahmadiyya Jamaat on such a vast scale as had been done though the media in these countries. Thus, a few words of Hazrat Amirul Momineenaa fly like a handful of pebbles, turn to a strong gust of wind and reach every corner of the earth. But the question here is, have we discharged our responsibilities by just making some financial sacrifices, sparing some time for tabligh, preparing for functions and by performing some duties? Perhaps the answer to this question lies in those sermons which Huzooraa is nowadays delivering, expounding on the glory of the Companionsra of Badr. Who amongst those Companionsra rested on their laurels after offering some services? None! They would, returning from one expedition, longing to head for the next! Who amongst them was not prepared to offer all their possessions before their leader and master, the Holy Prophetsa? Such were the Companionsra who would offer everything from their homes, leaving behind only the name of Allah and His Messengersa. Who amongst them offered one of his horses for battles and retracted one for members of his household? Through Huzoor’saa very sermons, we have learnt that they were people who would be prepared to part with both mounts. Who amongst them would remember their offspring when the enemy would overpower them, sword on throat, ready to kill them? Through the sermons of Hazrat Khalifatul Masihaa, we are reminded that they would happily embrace death to keep the flag of Islam soaring high, bearing witness that there is no God except Allah and that Muhammadsa is His Messenger. Who amongst them prevented their mature children to participate in religious battles? From the sermons of Huzooraa, we have come to realise that they would send their children to fight in the way of faith, however many they possessed. They never complained of hunger, nor of thirst. If food and water did become somehow available, they would insist on passing it on to others. If there was time for rest, they would still remain alert and ever-ready for encounter. Their most significant quality was their zeal to protect the nucleus of their Jamaat. Every one of them would leap forward to take an arrow on their chest lest it reached the Holy Prophetsa. They were well aware that their lives could be risked, but the life of their beloved Prophetsa was more precious than anything as it was he who ensured the survival of faith. Having heard the anguished supplications of the Holy Prophetsa at the field of Badr, none of these Companionsra sat idle in reassurance. They had this much reassurance that his prayers were with them, but on the battlefield, they thrust forth to fight with full fervour. Seeing the flying handful of pebbles turn into a windstorm, none of them turned back assuming that the storm alone would henceforth be sufficient to destroy the enemy. All stood steadfast on the battlefield and, considering the storm as a favourable occurrence, continued to battle the enemy. Thus, in this day, if Hazrat Amirul Momineenaa has to make do with individuals like ourselves, should we rest on our laurels, assuming his night supplications to be a substitute for our efforts? Should the lack of worldly means and resources leave us sitting and thinking whether it is worth even trying? Should we – having seen our beloved Khalifa contending with the irreligiousness, faithlessness, injustice and tyranny of the entire world – assume that what Huzooraa is accomplishing is enough and that we have no responsibilities? Having witnessed a handful of pebbles turning into a miraculous storm on television, should we sit back in the comfort of our homes with the false notion that the storm is now blowing and that our only duty is to sit and witness the progress of the community? The responses to all of these questions are the sermons which Huzooraa is delivering on the Companionsra of Badr. At the beginning of this note, I humbly mentioned that my mind was diverted to these thoughts when I put both of the statements that Huzooraa made during the mulaqat together. In the end, I would also like to mention that whilst writing, I did a bit of introspection. The shame and guilt I felt as a result prevents me from writing any further. May Allah turn us into that which Hazrat Amirul Momineenaa desires of us. May He bestow Hazrat Khalifatul Masihaa with a host of helping hands in this troublesome age and in every coming era. May we be among this fortunate group of helpers. Amin.